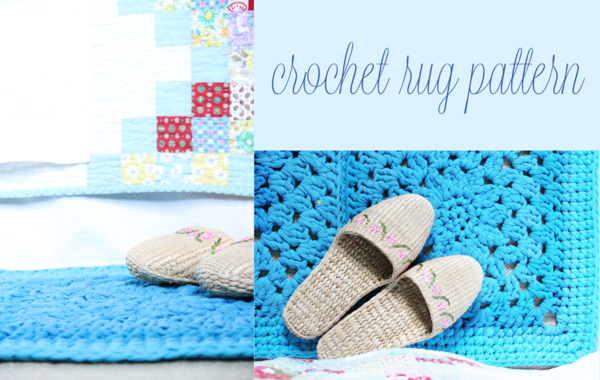 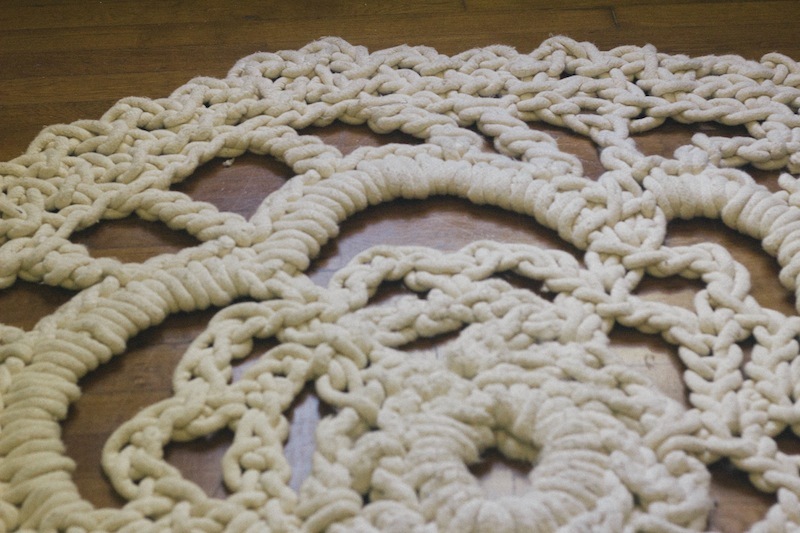 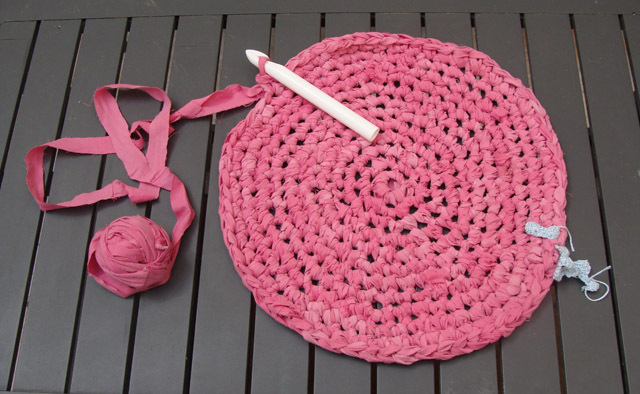 Crocheting a rug is a good way of utilizing scrapes of spare yarn or fabric from old t-shirts and other clothes. They do make a great addition to your interior décor, complimenting your handiwork and artistic skills. 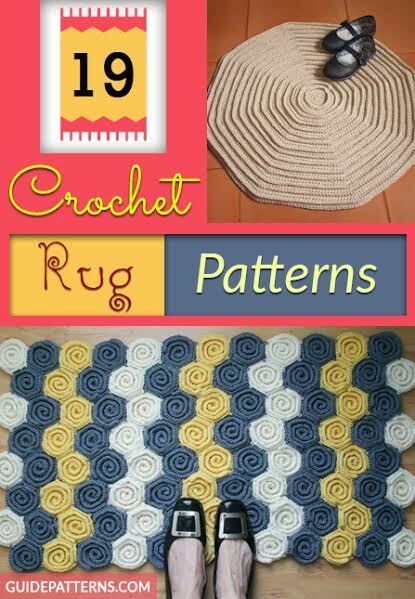 Here are some creative ideas and patterns to help you get started. 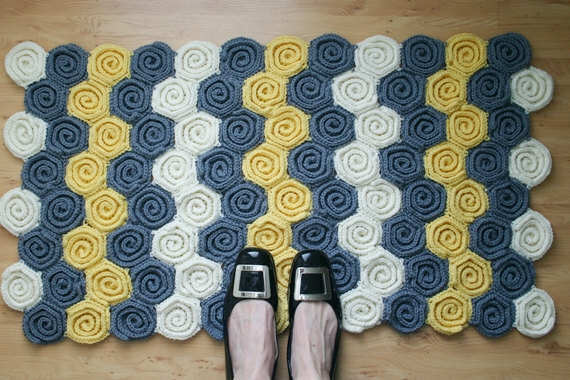 A unique curly, swirly rug pattern that comes with step-by-step instructions for making and joining the twirly motifs to achieve a beautiful rug for your home. 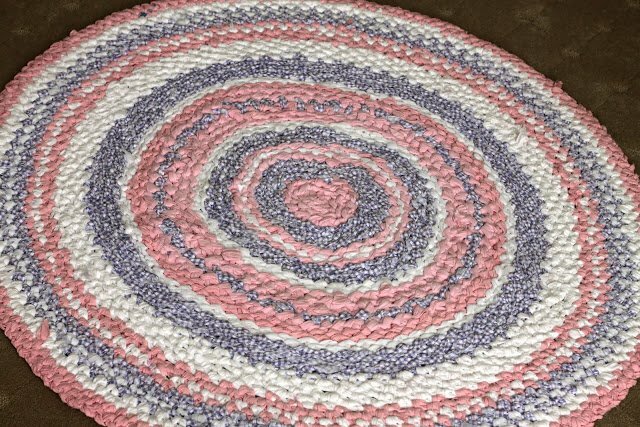 A rag rug pattern made so much special by the addition of the little pink flowers. 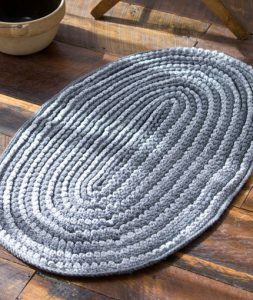 Oval rugs have a kind of extra elegance to them, whether you use them for outdoor purposes or place them on your drawing or dining room floor. 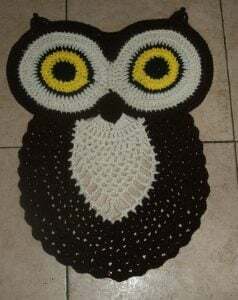 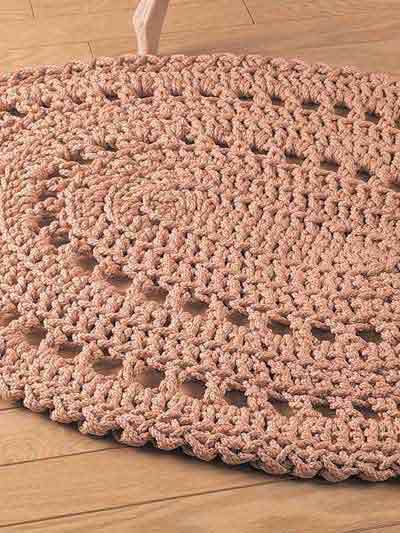 A t-shirt rug worked with the basic crochet stitches of chain, single crochet, double crochet and slip stitch, it is sure to look so attractive on your living room floor. 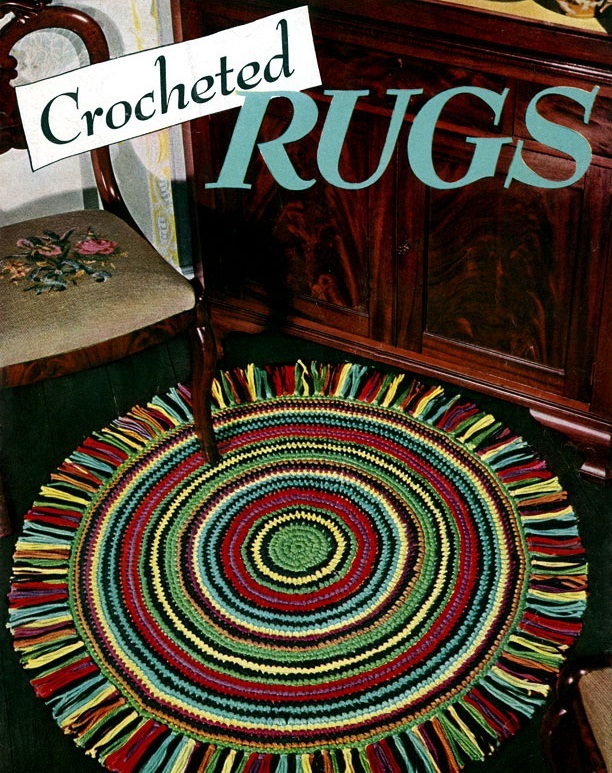 This one sort of has a traditional touch to it, probably because of the colors used for the pattern. 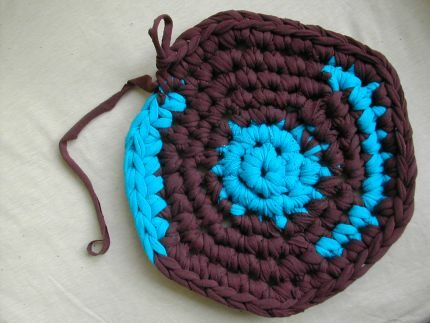 It’s a simple pattern, ideal for beginners; and of course, you are free to use any color combination. 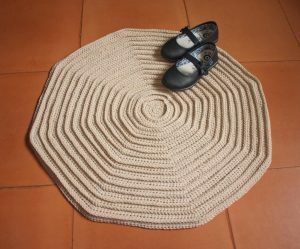 This simple and neat rug can be placed on the ground in your kids’ room and it is sure to brighten up the whole interior. 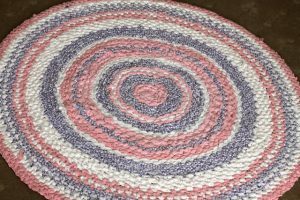 Those with moderate crocheting skills can easily work it as the pattern only uses the single crochet, half double crochet, slip stitch and chain along with a magic ring for starting the rug. 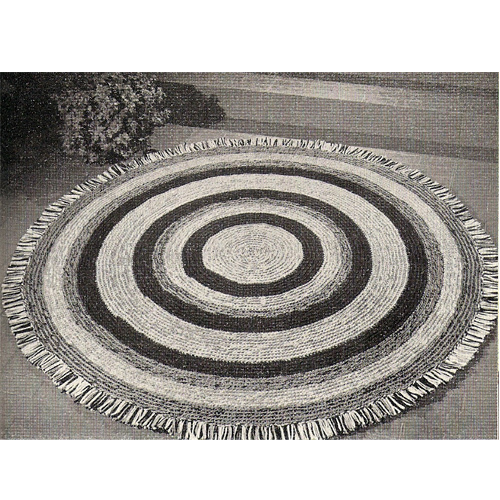 A vintage round rug, this one can be worked using any nice contrast color combination. Imagine this cute, wide-eyed owl perching on your floor, waiting to greet guests. 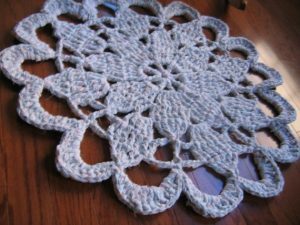 The lacey pattern used for the white part of the body makes the final product even more attractive. 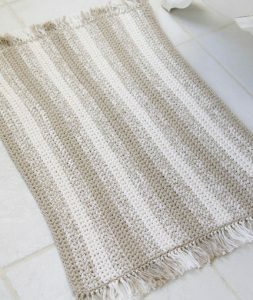 Perfect for those looking for a little practice to master the crochet technique before moving on to more complex projects, this one is worked in three colors using the basic crochet stitches. 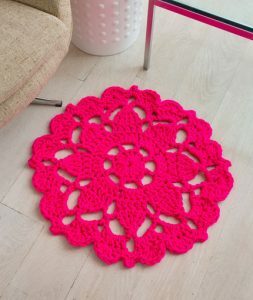 Yet another stunning pattern for a flower designed rug, this one will also look good when worked in two colors with a dark outer border and a lighter color used for the flower in the middle. 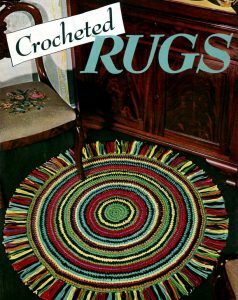 This pattern includes instructions for cutting out thin strips out of old t-shirts and getting them ready to be used in a crochet project, to make an attractive rug in this case. 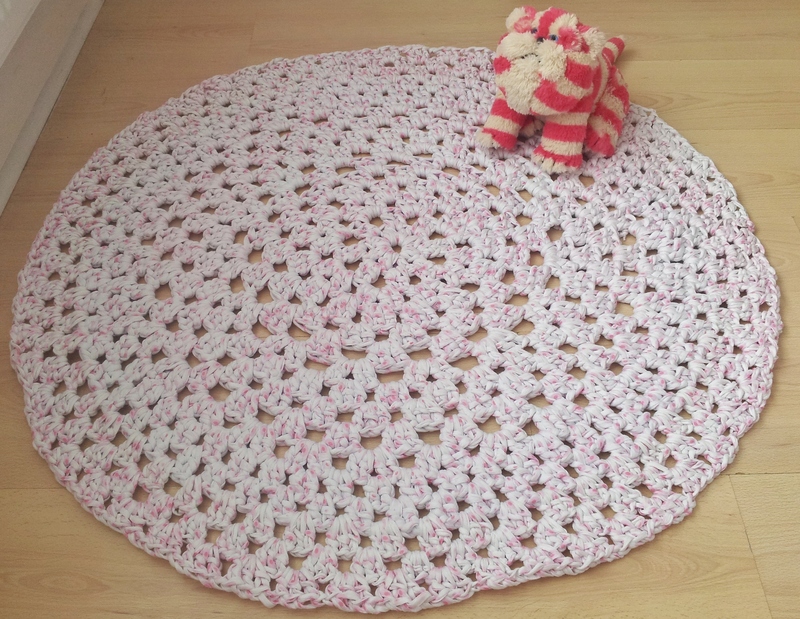 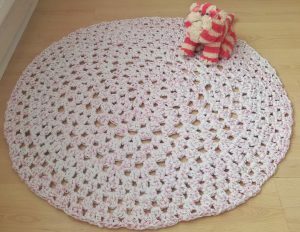 Giant crochet rugs are fun to make, with this doily style lacey pattern producing a stylish chunky floor rug for your drawing room. 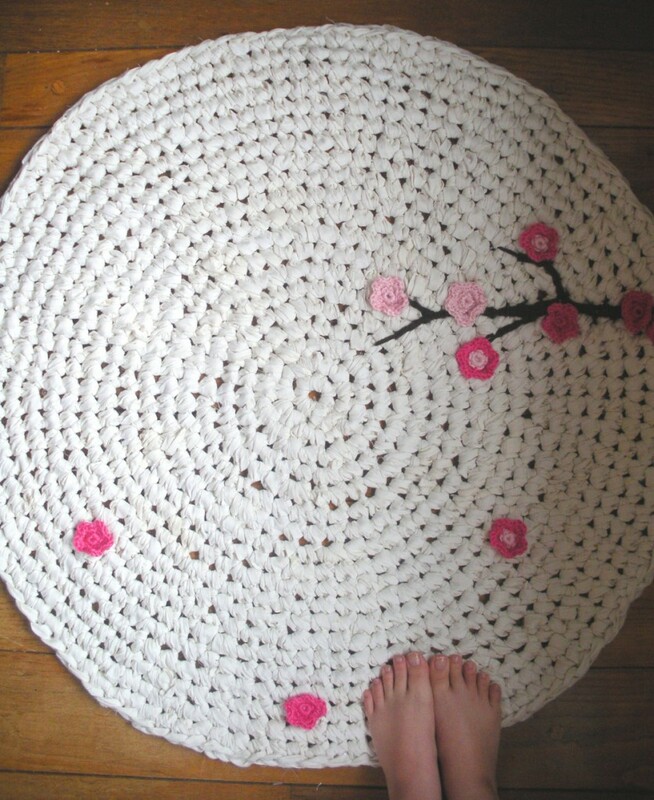 Now you must be so excited to get those old, useless t-shirts, bed sheets and pillow covers out so you can tear them to pieces and create something so pretty. 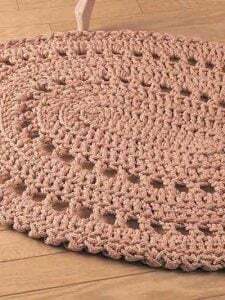 And to be honest, the fun that comes with cutting and ripping a bed sheet is a bonus of making such a crocheted rag. 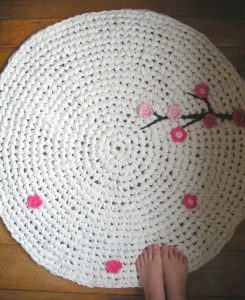 Your site is wonderful, loved the models mats. 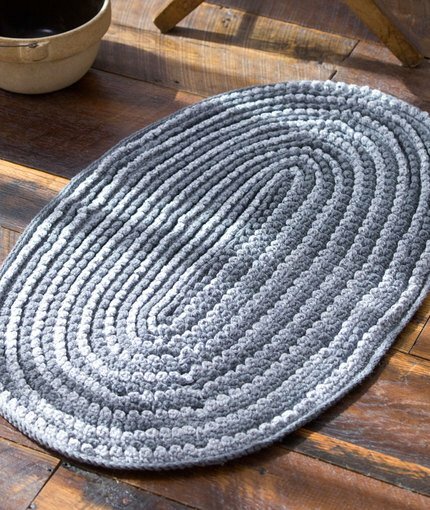 How best to secure such a rug to an uncarpeted floor such as in a bathroom or kitchen to avoid slipping? 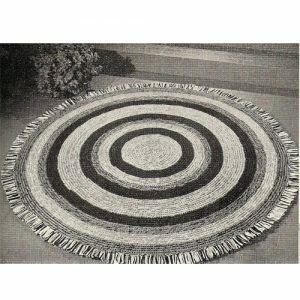 Hello, Mary Riedel, there are several options for solving the problem. 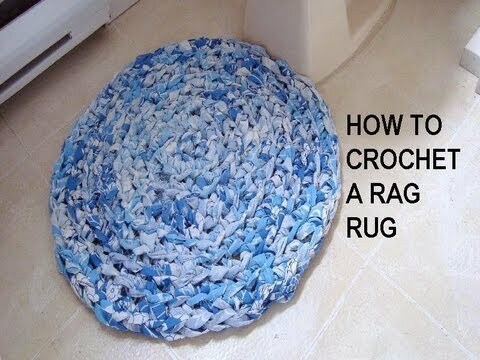 One of the safest ways is to simply use a felt rug pad with your rug. They are safe for your floors and easily available online. 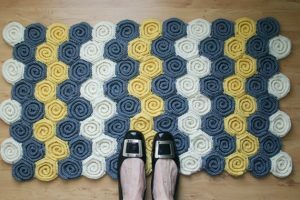 Another option is to use carpet tape – simply put the double-sided tape directly on your floor and place the rug over it. 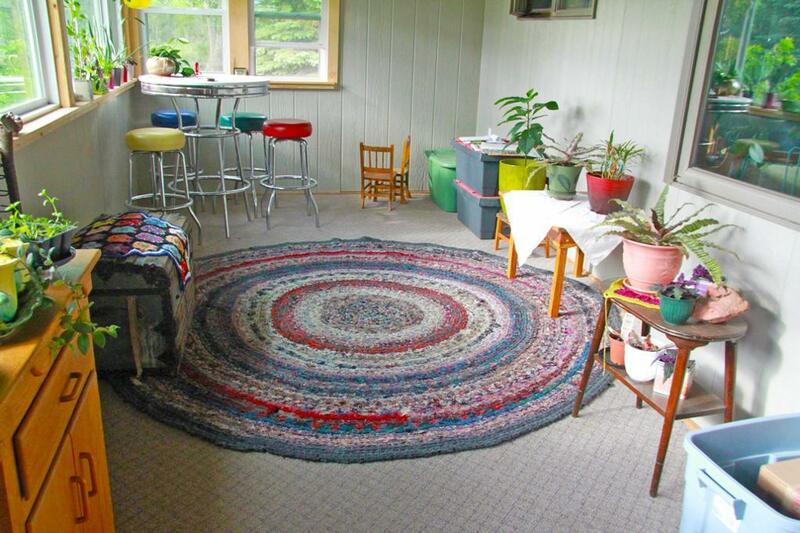 However, this may not be such a safe option for your floor and is usually not recommended by interior design experts. Another method you may try is applying some silicone caulking on the bottom surface of the rug, although this may not be a suitable option for the lacy designs. Hope this helps.